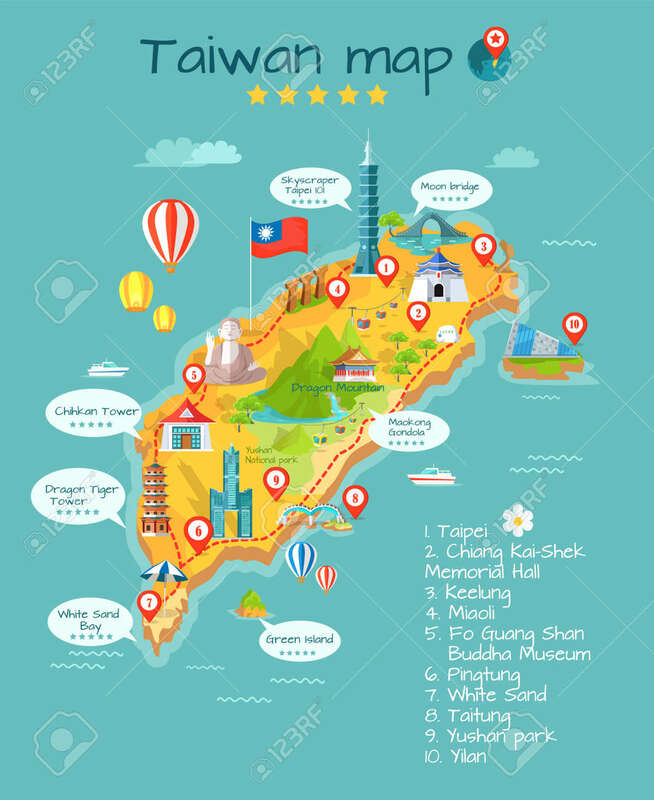 Taiwan Map With Sightseeing. Taipei. Chiang Kai-shek Memorial Hall. Keelung. Miaoli. Pingtung. White Sand. Taitung. Yushan Park. Yilan. Moon Bridge Skyscraper Royalty Free Kliparty, Vektory A Ilustrace. Image 72890577.